Click the link below to view the 2018 banners. Local artists paint original works of art, creating a fantastic display of color on the lamp posts along a 6 mile stretch of historic Coast Highway 101 in Encinitas, California. 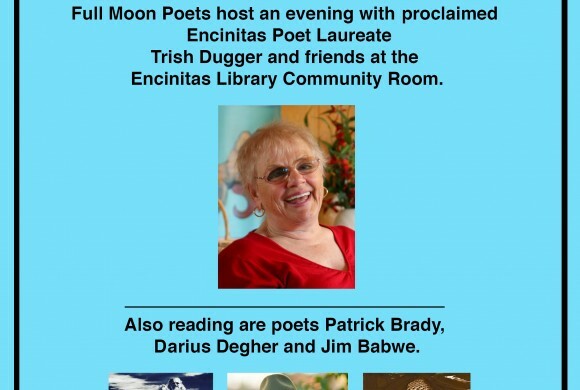 16 years of slamming poetry in our historic La Paloma Theatre has made this one of the favorite nights in Encinitas. Free to the public and open to anyone who wishes to enter. 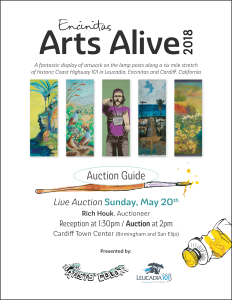 2018 Encinitas Arts Alive banner artist, Julie Ann Stricklin, showing her banner pre-unveiling because it was shown in Encinitas Magazine.